Annette Schiller, President of ombiasy PR and WineTours and member of the American Wine Society, will lead two German wine tastings at the forthcoming Annual Meetings of the American Wine Society. The tastings are sponsored by ombiasy WineTours and the wine producers whose wines are being presented or their US importers. The 2016 American Wine Society Annual Meetings will take place on November 2 - 5, 2016, at the Hilton Orange County in Costa Mesa, South of Los Angeles. More than 600 members from all over the USA are coming to this 3-day event, filled with tastings, seminars and presentations. Each November the Society hosts hosts a three-day national conference with two full days of educational seminars, nearly 49 to choose from. 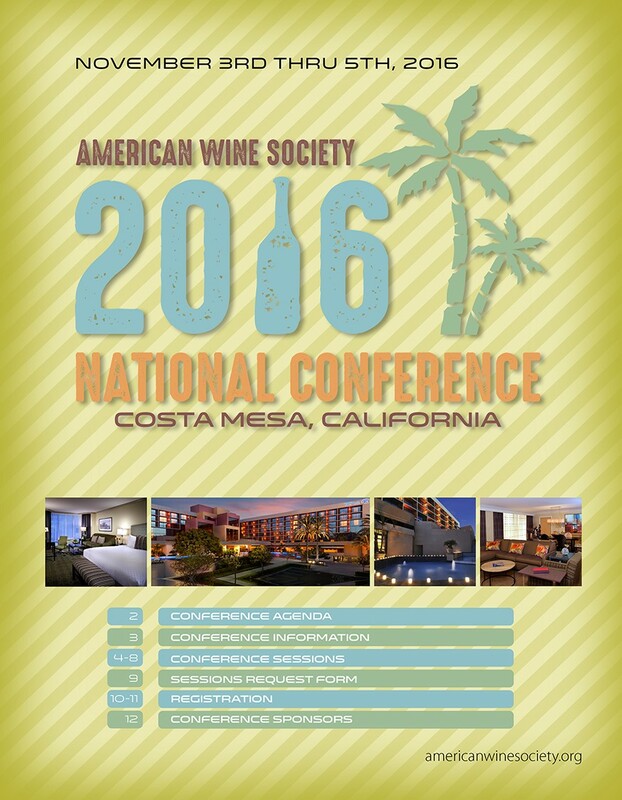 Winery owners, wine educators, and renowned wine makers are selected to present sessions during this national event. In addition, a program educating members to become AWS certified wine judges is conducted on the day preceding the seminars. Germany is increasingly becoming known as a serious red wine producer; Germany is the #3 producer world-wide of Pinot-Noir (= Spätburguder). Germans have always been obsessed with sparkling wines: 1 out of 4 sparklers produced in the world is consumed in Germany; and Germany is home to the second largest sparkling wine producer world-wide. Germany is known for its Rieslings. Yes, it is the #1 Riesling producer world-wide, but also the #1 Pinot-Blanc (Weissburgunder) and #2 Pinot-Gris (Grauburgunder) producer. And, today, most of the white wines produced in Germany are dry. More than 70 people have signed up for this event, where Annette will present: The New Germany: Red, Sparkling and Dry. Annette will pour 6 wines. The wines are sponsored by the winemakers and by the US importer of German wines, Rudi Wiest. Although many people think that there is only one wine classification system in Germany – the classification system of the Law of 1971 – this is not correct. True, the classification system of the Law of 1971 is the standard classification system in Germany and many winemakers in Germany use this approach. A large number of winemakers, however, have moved away from the standard, in particular the VDP producers and more generally, the producers of premium wines in Germany. In a nutshell, the VDP is moving to a classification system that resembles very much the classification system in the Bourgogne. The classification of the VDP puts the terroir principle at the center of its classification approach. With the latest modifications of 2012, the absolutely finest vineyards are called Grosse Lage (for the 2011 vintage still called Erste Lage) and dry wines from these super top vineyards are called Grosses Gewächs. Grosses Gewächs wines are the finest dry wines from Germany’s finest vineyards. We will taste wines from each category of the new classification. The wines are sponsored by Dr. Loosen Bros., the US importer for: Dr. 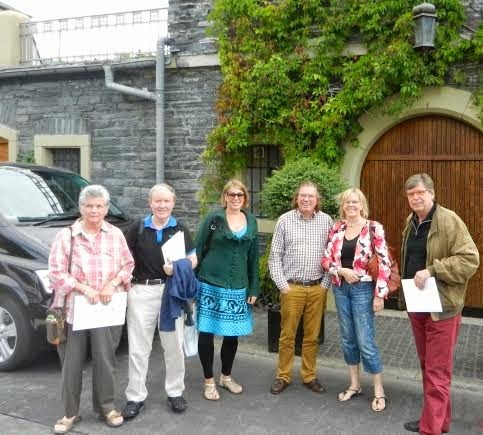 Loosen (Mosel), Villa Wolf (Pfalz), Robert Weil (Rheingau), Wittmann (Rheinhessen), Maximin Grünhaus (Mosel) and Fritz Haag (Mosel).